We are representing our accordions on the Music Fair China in Shanghai from 10. – 13. October 2018. 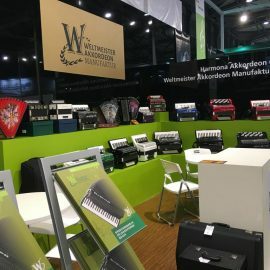 We want to invite you to visit us at our booth E3 B15 and listen to our accordions and their sounds. We invited for you one special guest: The artist “Peizhen Chu” is playing our accordions. Our sales team will welcome you.